On behalf of Admin of JML Law, A Professional Law Corporation posted in Wage Fraud on Friday, Aug 10 2018. Wage and hour theft is a serious crime in the business world. It can lead to years in prison, hefty fines, and the likelihood that the person convicted of such a crime having difficulty finding work in the same industry once they have done their time. Wage and hour theft is a common crime that occurs all over California in all types of industries. It’s not uncommon for employees to find themselves short in their paycheck and it’s usually not due to taxes or withholdings, but more from not being properly compensated for their time on the job. Our Los Angeles wage and hour disputes attorney would like to discuss this topic so you know what to do in the event that your employer fails to pay you what you deserve. 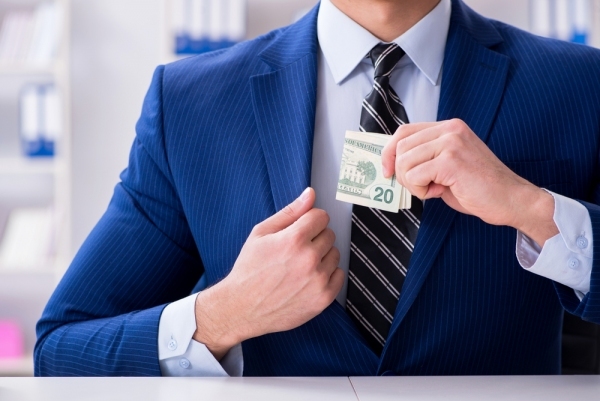 Every employee of every company needs to know the law surrounding wage and hour theft in order to defend themselves if they are ever missing wages. The Fair Labor Standards Act, or FLSA, sets rules that companies are required to follow when it comes to paying out overtime and minimum wage. Employees who work more than 40 hours in a week are required to be paid overtime pay, which is their regular salary plus half of that salary. California has been one of the biggest offenders of wage theft, according to statistics from the Department of Labor. Between 2010 and 2014 the state collected more than $1 billion in wages that had not be paid to employees. In 2013 across the country the Department of Labor investigated some 24,000 cases of unpaid wages, collecting $170 million from employers. If you believe that you have not been receiving the correct amount of pay, even if it’s just for a single pay period, you should file a complaint about a violation. Filing a complaint will make it easier to recover the money you are owed and even might help prevent the company from continuing such practices in the future. You only have two years from the date of the violation to file a complaint with the Department of Labor for wage violations. The statute of limitations is extended to three years for willful violations. Do you believe you have been the victim of wage and hour violations? It’s best to discuss your situation with a Los Angeles wage and hour disputes attorney. Contact the office of JML Law, A Professional Law Corporation, today to schedule a consultation.